Removed and ground a little material off the bottom of the front bulkhead and it allows the upper body panel to set lower. The decals I copied from the yellowed Tamiya set came out a little greenish, but they're on the rear wing. I may try to remake them at another time adjusting the color a bit and lay them over the others. 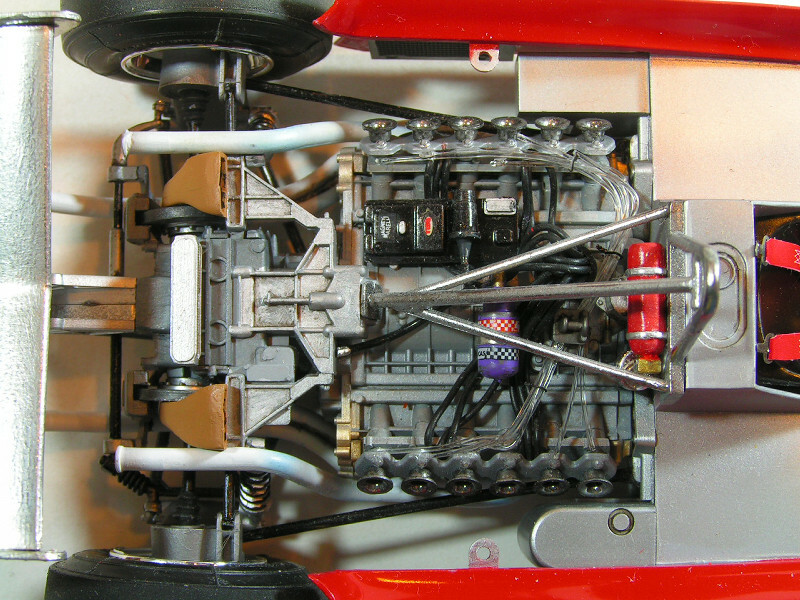 I didn't include the Gilles Villeneuve figure because his knees kept the instrument panel tower raised a bit. 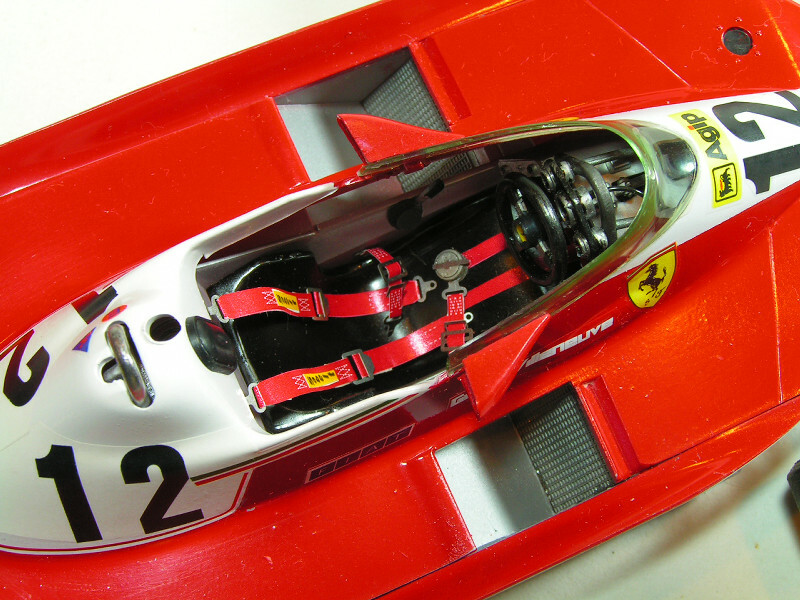 So I added a spare set of Tamiya seatbelts that I had in stash. 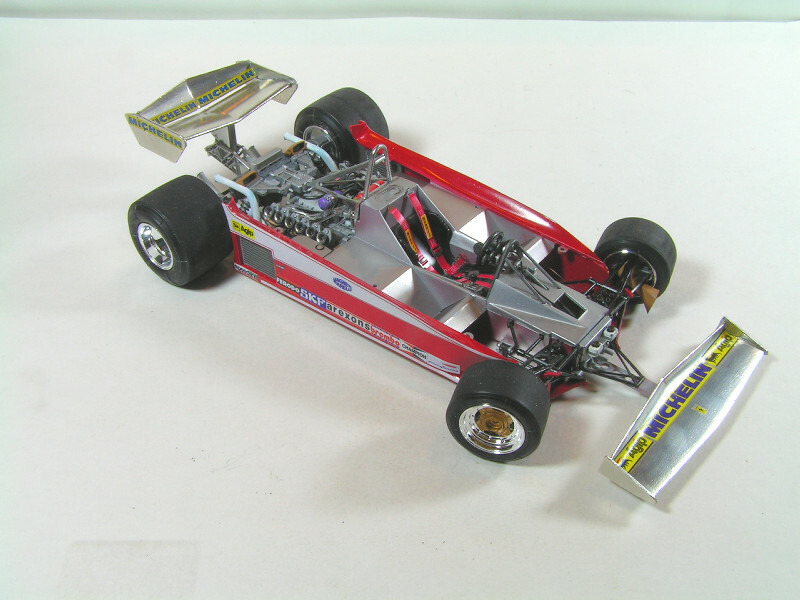 For me any super-detailed race car is a masterpiece. This one exceeds the title, it's a master work. Fabulous work Mike, that's beautiful. 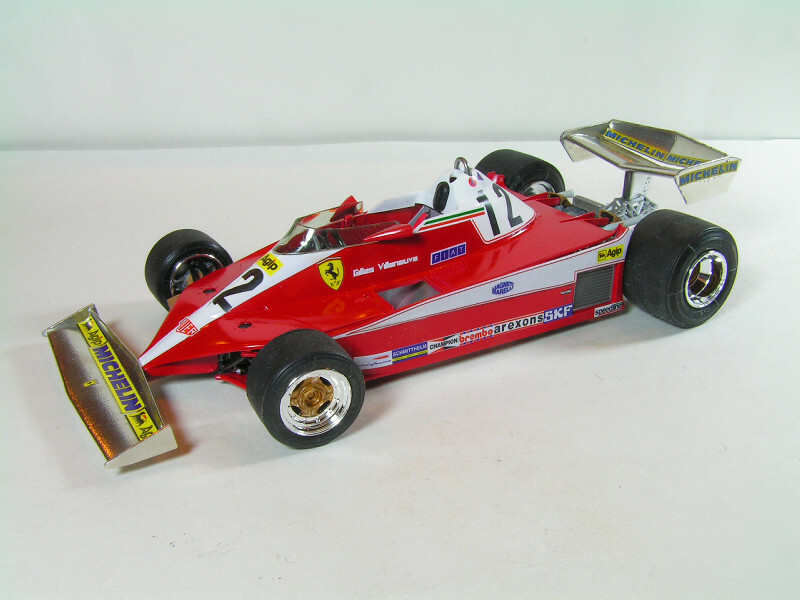 One of the nicest F1 cars I've seen built. Excellent job Mike, a real beauty. I'm calling the Honda NSX done. The decals on this admittedly old kit did not turn out well. Nonetheless, the interior was first rate, and the transfers for the tires survived. Photos in the finished works thread.